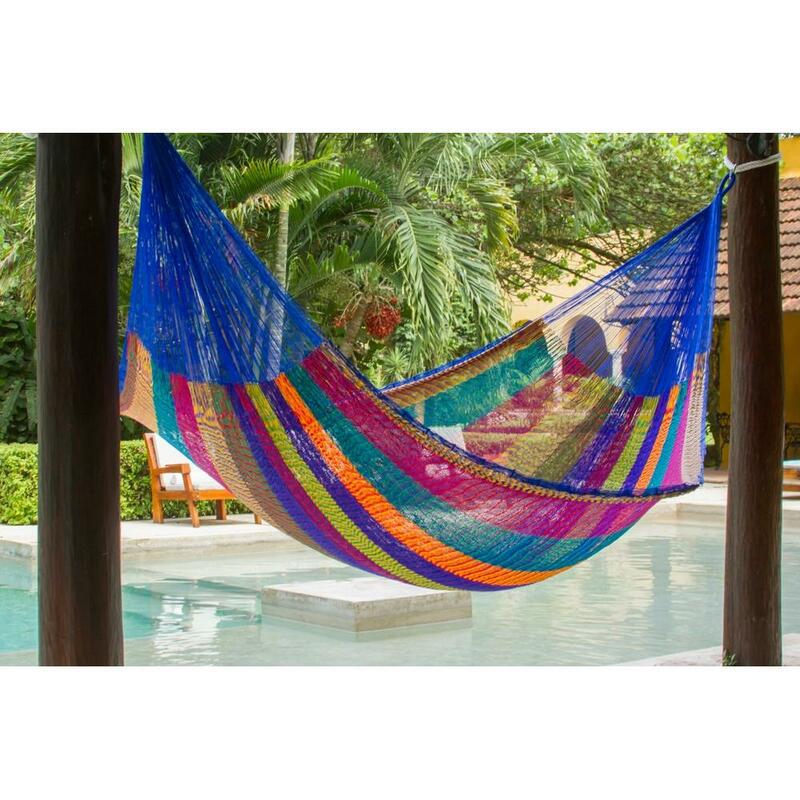 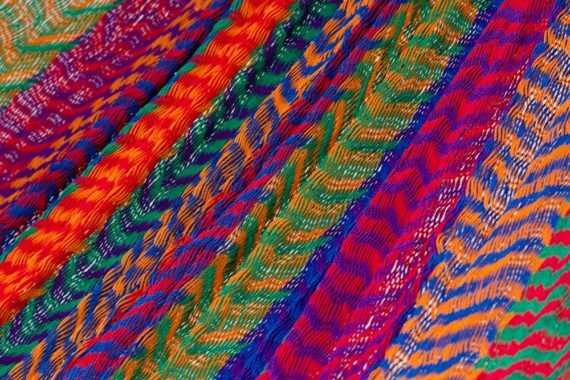 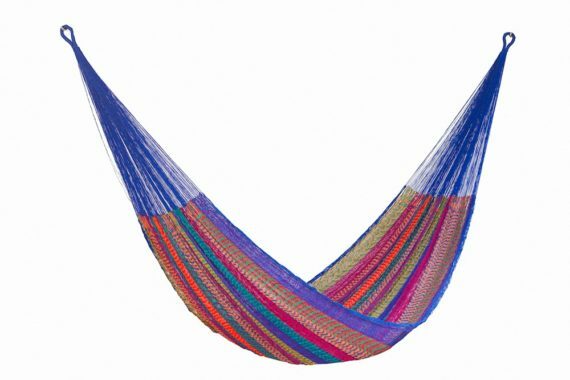 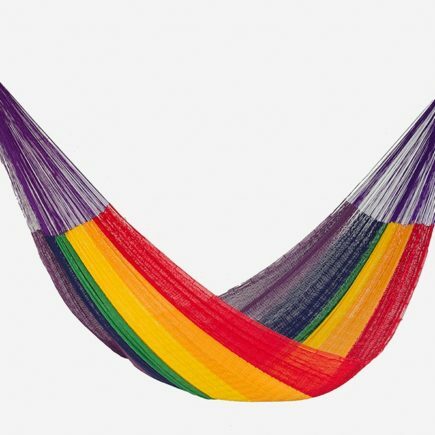 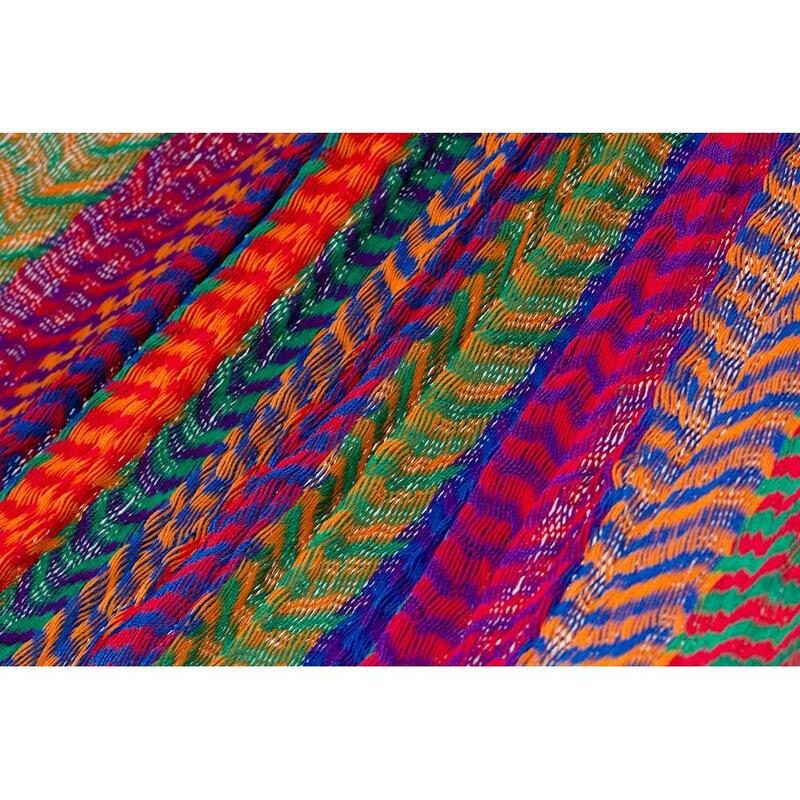 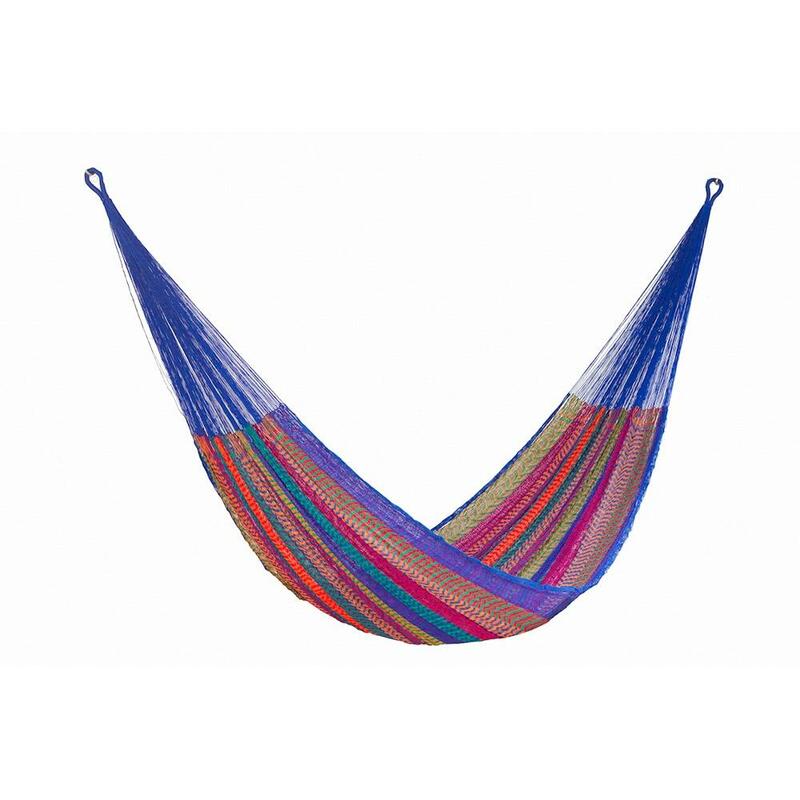 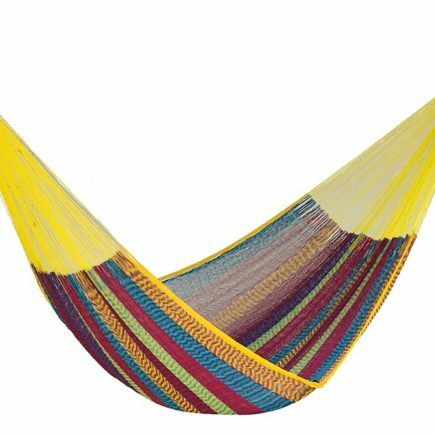 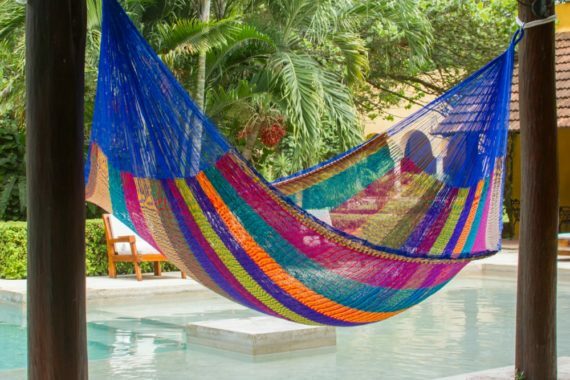 This beautiful family sized Nylon hammock represents the typically flamboyant Mexican colour combination. 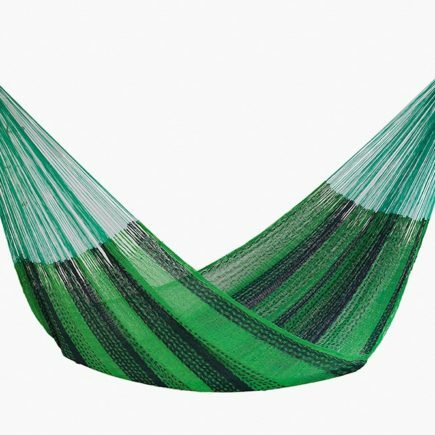 Nylon Plus provides more comfort and weather resistance thanks to extra material and stitching. 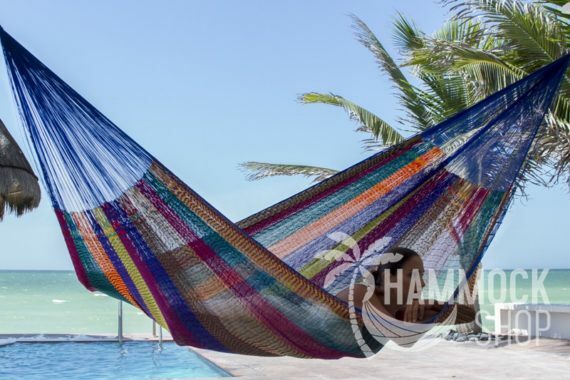 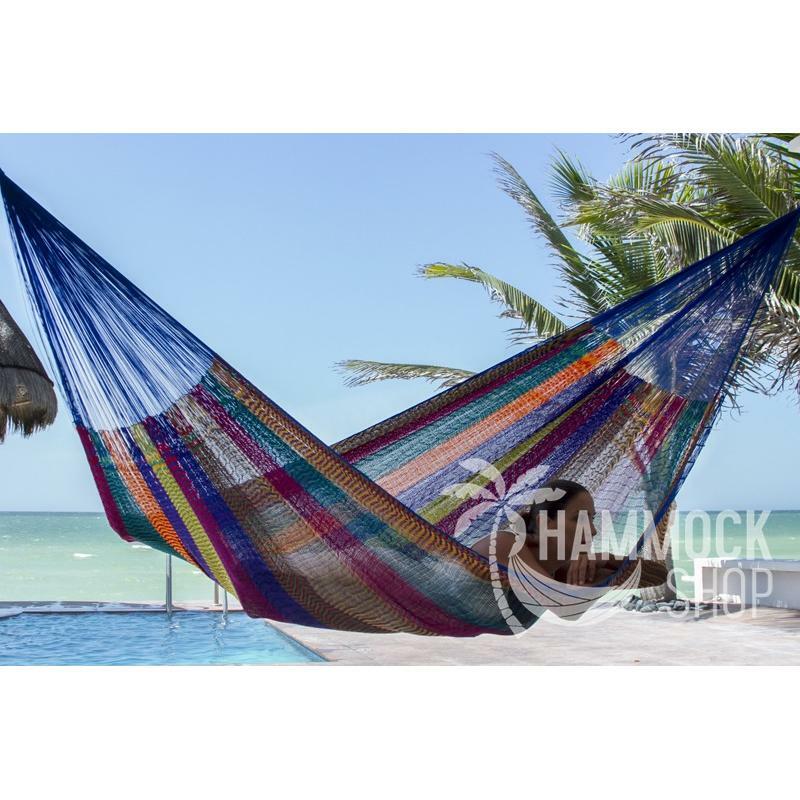 Although an excellent option for outdoor hanging, we recommend unhook the hammock when is not in use to protect it from the sun, rain and wind, keeping it in beautiful condition.